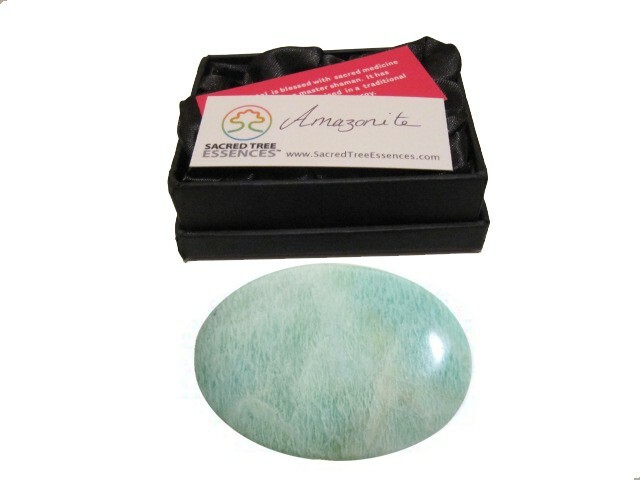 Amazonite assists in creating inner harmony and in our lives. It helps us to communicate our true thoughts and feelings. It is an uplifitng stone that helps us release stress, fear of conflict and judgement. Associated with the heart and throat chakras. This beautifully polished high quality palmstone (7x5cm) comes in a satin lined box and makes a lovely gift.